The best coffee deserves the best coffee-making equipment which is why we’ve partnered with Sage by Heston Blumenthal to bring you an exclusive deal. A professional barista makes grinding, tamping, frothing and pouring look like poetry in motion and coffee taste like heaven in a cup. 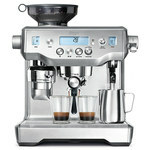 Now, thanks to the Oracle Espresso™, you can get barista-quality coffee in your home. includes the innovative One Touch Americano feature. Check out this Oracle™ video from Sage to see the machine in use. Your machine will be delivered in 5 working days (or less). 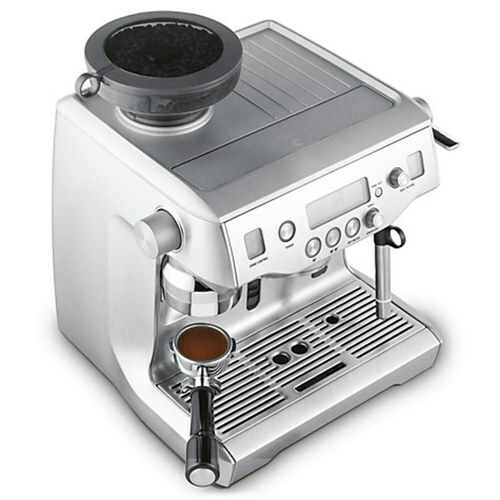 Once it arrives, contact Sage on 0844 334 5110 and they will arrange for a specially trained coffee engineer to set up the Oracle™. They’ll also teach you how to get the most out of it and can answer any questions on how to make the best brew every time. You’ll then be confident using the Oracle™ to create your own coffee masterpieces. When you buy the Oracle™ we will give you £200 of credit so that you can stock up on some of the world’s best coffee. Pact scours the globe for hidden coffee gems and trade directly with farmers to give everyone a better deal. All Pact coffee - including our game-changing Espresso Blend - is sent out in letterbox-friendly packages within seven days of roasting, because that’s when coffee tastes best. The Oracle™ is also available in black.